Ueli Sommer is a partner of Walder Wyss Ltd, one of the leading law firms in Switzerland. 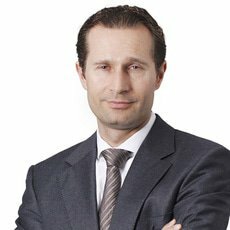 Ueli heads the firm’s employment group. He has many years of experience in all aspects of employment law, with a focus on compensation schemes. He also advises international companies and private individuals on immigration issues. He has supported many companies and high-level executives in regard to the conclusion and termination of employment agreements and termination arrangements. He has also an extensive experience in restructuring and lay-offs. Born in 1970, Ueli Sommer was educated at Zurich University (lic iur 1995, Dr iur 1999) and at the University of New South Wales in Sydney (LLM 2001). In 2001 and 2002, he worked as a foreign associate for Allens Arthur Robinson in Sydney. Ueli Sommer currently serves as board member of the European Employment Lawyers Association and a senior vice chair of the Discrimination Committee of the IBA. Further, he publishes regularly in legal journals and gives speeches at national and international congresses. Ueli Sommer is recommended by Chambers and Partners for his employment expertise and is mentioned as leading in his field by Practical Law.